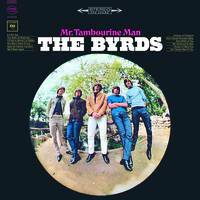 "Every Byrds album is like an audio magazine containing the things that interest us at the moment." Throughout rock music's years, alot of albums have consisted of, maybe, a couple of hits and the rest just filler. Mr. Tambourine Man, when it was released changed that formula at one point in rock music's history. Intrigued by the single, album buyers this time discovered a whole very solid album of jangly, inspired magic. Years before the advent of progressive or underground radio, the Mr. Tambourine Man album became a worldwide smash entirely via word of mouth. With this debut LP, the Byrds transcended pop to become the musical voice of an entire generation and generations to come.